Church of Our Savior v. City of Jacksonville Beach. The Becket Fund for Religious Liberty (n.d.). Retrieved from https://www.becketlaw.org/case/church-savior-v-city-jacksonville-beach/. Church of Our Savior v. City of Jacksonville Beach. (Apr. 04, 2019). https://www.becketlaw.org/case/church-savior-v-city-jacksonville-beach/. "Church of Our Savior v. City of Jacksonville Beach." The Becket Fund for Religious Liberty. Accessed [Apr. 04, 2019]. https://www.becketlaw.org/case/church-savior-v-city-jacksonville-beach/. The Church of Our Savior, an Anglican congregation in Jacksonville Beach, Florida, is now free to begin construction on a new, permanent house of worship for its growing congregation. In 2013, Resurrection Anglican Church joined with another Anglican church in Jacksonville Beach, Florida, to form the Church of Our Savior. Since its founding, the Church has worshiped in six different facilities, including the historic Beaches Museum Chapel. 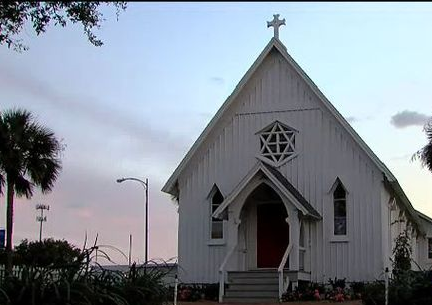 The Church leased the Chapel for Sunday worship, as well as major holiday celebrations, weddings and Bible studies. Yet the Chapel was a less than ideal home. The facility’s maximum capacity of 140 people forced the Church to split into two separate Sunday services, which limited the Church’s growth and inhibited its ability to worship in one unified celebration. To make matters worse, the congregation could not secure a long-term lease with the Chapel, and therefore had no permanent place to worship. Reverend David Ball, pastor of the Church of Our Savior, had long dreamed of one day building and owning a permanent home for the Church. He searched throughout Jacksonville Beach for a property that was affordable, visible, and accessible. After years of searching, he finally found a property located in a charming residential area that was all three. Hopeful in its prospects, the Church applied for a permit to be able to construct the new facility. But its permit application was denied twice. The Church of Our Savior sued, citing a federal civil-rights law that protects churches – the Religious Land Use and Institutionalized Persons Act (RLUIPA) – and arguing that it had been treated unequally to other similar, nonreligious organizations seeking permits. Becket, along with attorneys Dan Dalton of Dalton & Tomich and Charles Stambaugh of Stambaugh & Associates, defended the Church of Our Savior in its fight for a new, permanent house for worship. After a federal district court ruled in the Church’s favor in the fall of 2014, the Church and the City settled the case, allowing the Church to begin construction on its new home. The church dedicated their new church facility in October 2017.